In Melbourne, we design and build modern & responsive websites for businesses across Australia. 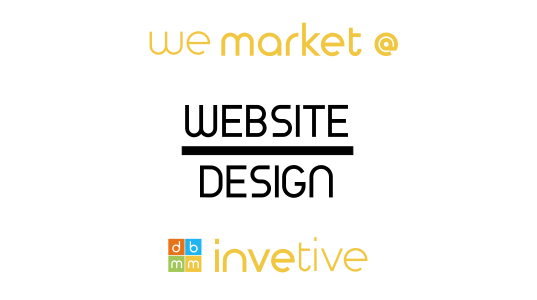 We design your website according to your business requirements. We design together with you engaging all related parties to brainstorm ideas and come up with the best strategy. We keep you informed at all times to make sure all content is accurate which consists of text and visuals. We understand that businesses need to build their internet presence according to the market conditions. Messages we present in your website should relate to your business objectives and welcomed by your users. That’s why we constantly explore, listen, research, learn and sketch to find out best practices by others so we can surpass them. Competitors will keep on trying to bring the best content to take the attention of the audience but we are here to support you with our maintenance services to keep you in the game. Website is the showroom for businesses where clients can come and interact. Therefore user is the centre of attention. Websites designed without giving attention to user experience fail to be visited and generate income. Your website and your landing page is for the users. Landing page is the first glimpse of what you are trying to convey. If landing page is not transmitting correct information to user in a professional way immediately user will leave the website. We help you to connect effective website design with your company architecture and marketing plan. So that your website can make a great change in the development of your company. According to researches more and more people are using mobile phones to access and search on the web. That’s why Google search engine is putting more emphasis on mobile friendly, fast websites. This gives you the chance to increase sales leads. So your clients can get information from your website wherever they are. We design websites which can be viewed from different devices like desktops, laptops, tablets and mobiles. We tailor the design according to the information that we want to give in each device as well. Being involved with developing websites for quite a long time we know what content needs to be presented in your website. If you would like to provide content that’s fine. Otherwise we can provide content including image & illustrations designed specifically for your business. You want to make visitors to your website feel comfortable with the content so they don’t feel bored and eventually leave. We include you in the loop and design a website that everyone will love to visit. We offer great domain name & web hosting packages to suit your needs. All features as you like. If you want to be fast then we can upload your website on Australian servers. We provide maintenance service for our customers where we keep domain name and hosting as included in a package which includes content changes as well. You don’t want your website to be down giving error messages. We take care of all emergency faults for you. We try our best to give a complete solution to all of your maintenance needs.